The chairman of Chichester BID has released a statement following the sudden closure of a popular Chichester bar. Colin Hicks said Chichester BID (Business Improvement District) was saddened by the news but is working on campaigns and ways of enhancing the city through a number of projects. Mr Hicks said: "We are saddened to hear about the closure of The Belle Isle. This news, alongside the recent closure of other stores, reflects changes that are happening on an international scale. It is important for everyone interested in Chichester's future that we take action to support our high street and keep it alive. 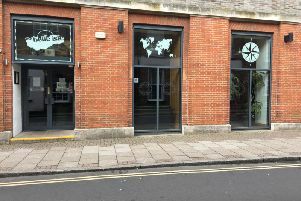 "Chichester BID continue to work with city centre businesses to support them through these challenging times." Mr Hicks added: "Following a successful Christmas, we are now working on a summer campaign which focuses on selling Chichester and all it presents as a destination, from retail, restaurants and bars to cultural, wellbeing and sporting experiences - we have a lot to offer visitors. 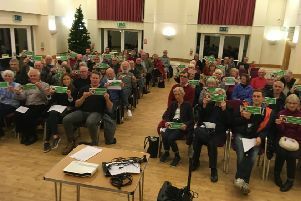 "Another focus is on the enhancement of Chichester through street cleaning and planting, as well as improving the signposting in the city centre to help people find businesses and maximise their visitor experience. "We will continue appealing to local government organisations to respond to the challenges that high street businesses face, however it is also important to remember that as consumers we all bear a personal responsibility for what is happening to our high streets and we need to support them."